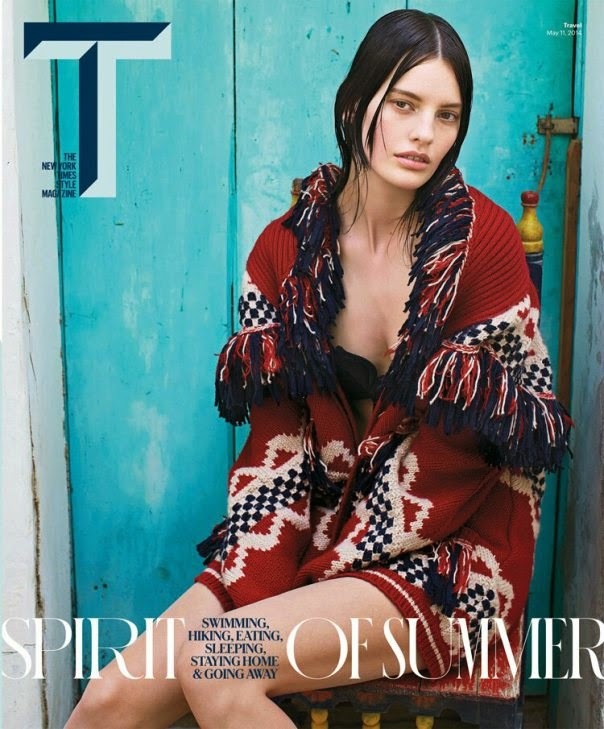 T Magazine reinterprets the Sweater Girl for an editorial featuring American model Amanda Murphy captured by photographer Mario Sorrenti. 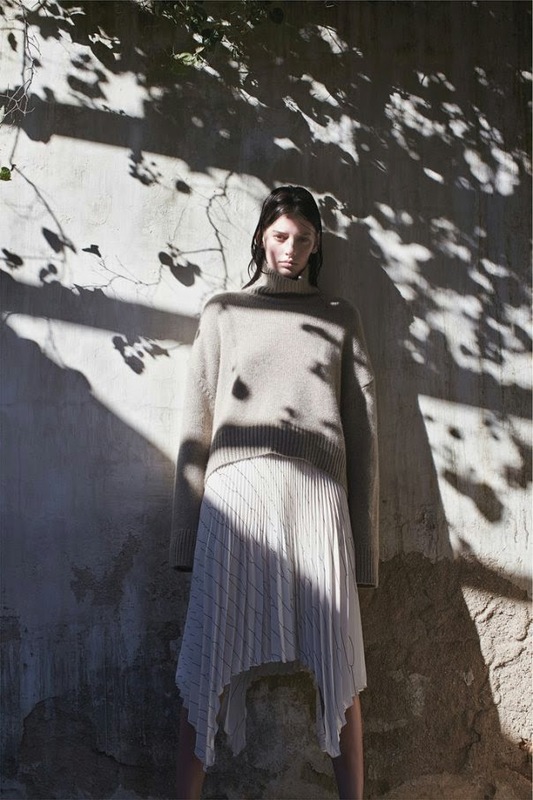 Twenty-seven year old Murphy imbues the pages of the New York Times Style supplement with a strong womanly presence while showcasing oversized knit sweaters and capes on location at the surf town of Todos Santos in Mexico. Stylist Jane How and hair and make-up artists Recine and Yadim weave their magic creating a super-chill feel to "Lost in Paradise" courtesy of Murphy's "just stepped out of the shower" centre-parted hair, minimal barely there make-up, and a non-fussed approach to summertime dressing. The IMG Model Management repped industry veteran forms part of a growing collective of models in their mid to late 20s including Drake Burnette, Ava Smith, Sasha de Brauw, Kati Nesher, and Aymeline Valade who are currently running rings around their younger modelling counterparts. Murphy's exotic brooding beauty, versatile nature, and her consumer relatability have caught the attention of the fashion elite via Spring/Summer 2014 campaign bookings for Prada, Bottega Veneta, Céline, and Zara. IMA had the pleasure of interviewing Murphy exclusively in October 2013 and was charmed by her authenticity, eloquence, and beautiful spirit.